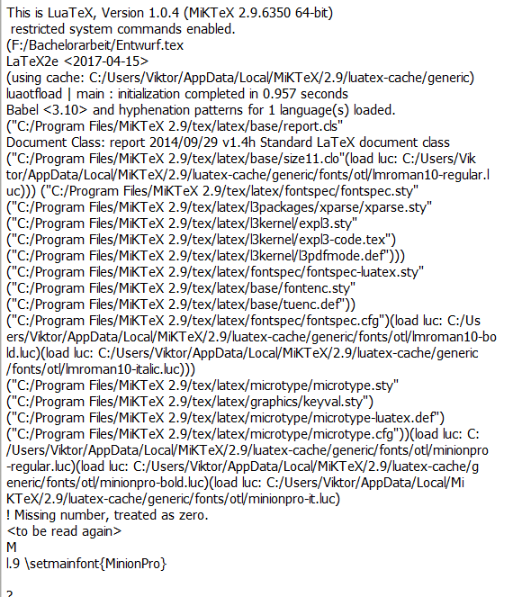 So from one day to the other texworks on windows 10 won't compile anymore. I didn't change anything in the document, it used to compile fine. The only thing that I did was run an anti-malware program since I had some annoying malware. In the course of the removal, windows apparantly updated, at least it said so during restarting. The software was roguekiller. Now I can't compile anymore. You have a typo in the options. It should be Scale=MatchLowercase not Scale=Matchlowercase. Not the answer you're looking for? Browse other questions tagged windows texworks update or ask your own question.